Cut tissue paper into squares and place in three different bowls – 1 bowl for pink, 1 for red, and 1 for white. Next, cut heart out of contact paper (leave backing on). Trace contact paper heart on construction paper and cut out. 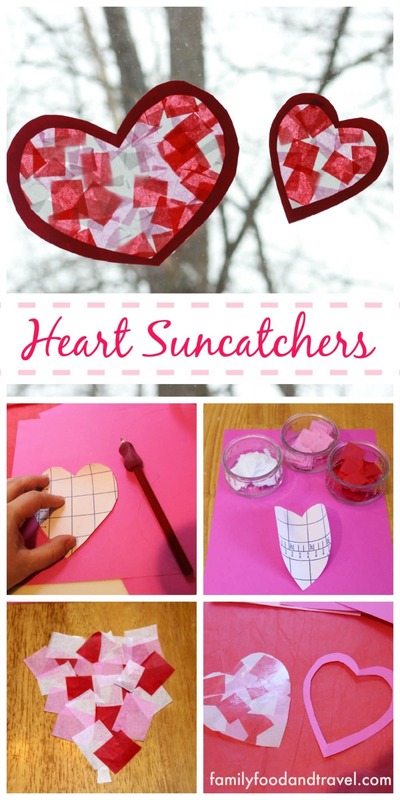 Create a heart shaped frame by cutting the inside of the construction paper heart out. Peel back off of contact paper and place on table, sticky side up. Place two small pieces of tape to hold heart to the table. 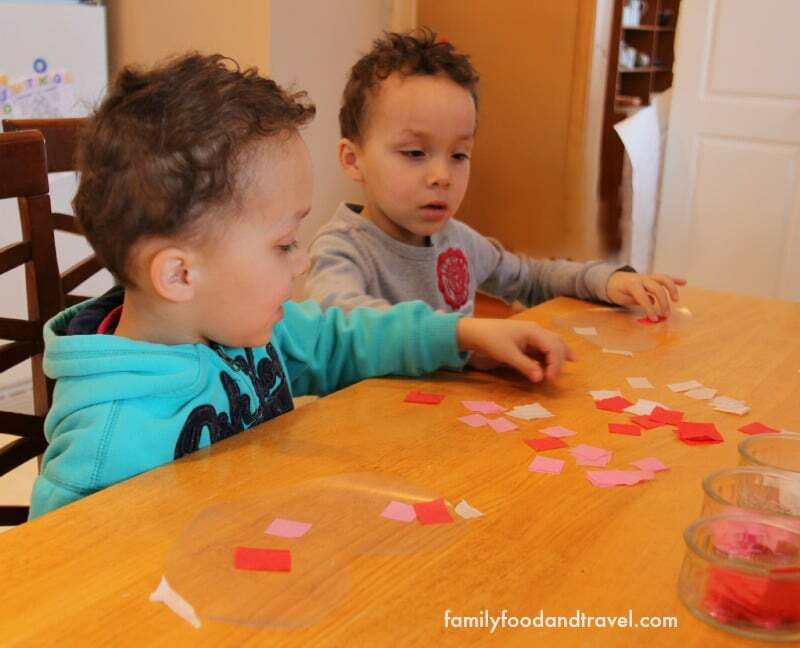 Allow kids to put the tissue paper squares on the contact paper pushing down so it sticks. They can go over the edges (the excess will be trimmed later). Once contact paper heart is completely covered in tissue paper squares cut of excess tissue paper. 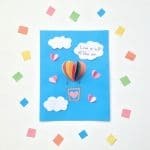 Sticking with tape or hot glue place the construction paper heart over finished contact paper heart. Trim off any excess. 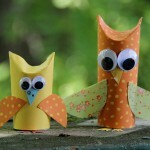 Easy, fun and creative – the perfect craft activity with kids! 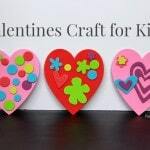 The best part is you can alter this craft to a variety of shapes to make suncatchers for all different times of the year. Looking for more Valentine’s ideas? 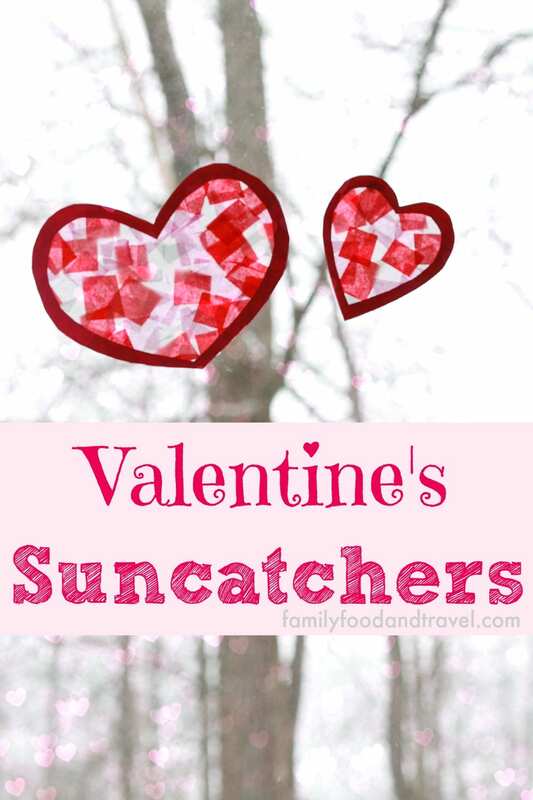 Check out our Valentine’s page for recipes, crafts and more! 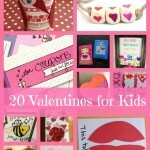 From candy free Valentines to Love Bug Finger Puppets we have lots of fun ideas. So cute! I love this project!